I have mixed feelings about proof in high school math and high school calculus. I am not one for proving everything. For one thing, it cannot be done and, if it could be done, proof would become the whole focus of high school math. 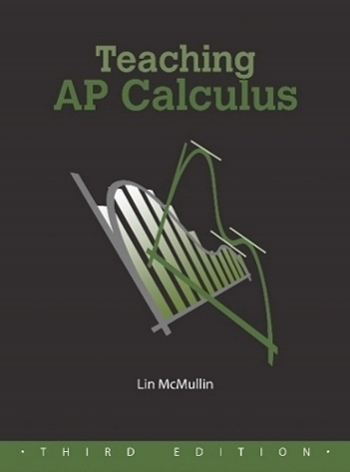 Proofs are not the focus of first-year calculus or AP calculus. The place for proving “everything” is a real analysis course in college. However, students should know about proof and there are places where you can demonstrate some of the power of proof and show how proof works in calculus. It is important, I think, that students know why a theorem is true; this helps in understanding what the theorem means. Some, but by no means all, proofs can show the student why the theorem is true. With other theorems there may be easier ways than a proof to convince someone of its truth. Fermat’s theorem (not his famous “last” theorem, but an earlier one) says, that if a function is continuous on a closed interval and has a maximum (or minimum) value on that interval at x = c, then the derivative at x = c is either zero or does not exist. There are two cases. In each case we will look at the limit of the difference quotient that defines the derivative at x = c, namely, and look at what happens as h approaches 0 from the left and from the right. These two limits are the same and equal to the derivative if, and only if, the derivative at c exists. Also note that since we are assuming f(c) is a maximum, f (c) ≥ f (c + h) regardless of whether h is positive or negative. The numerator of the difference quotient is always zero or negative. Then if in the denominator h < 0, the quotient is non-positive; likewise, if h > 0, the quotient is non-negative. Case I: The two limits are not equal. In this case the derivative does not exist. This could occur with a piecewise function, where two pieces with different derivatives meet at x = c.
Case II: The limits are equal. In this case the limit from the left (h < 0) must be greater than or equal to zero (since the function is increasing there) and the limit from the right (h > 0) must be less than or equal to zero. Then, the only way the limits can be equal is if both limits are zero; therefore the derivative is zero. Any place where the derivative of a continuous function is zero or undefined is called a critical point and the number c is called a critical number (new definitions). The next post will discuss Rolle’s theorem.